The Perfect Use of Small Tactical Backpack and How to Pack It? Many types of tactical backpacks are designed for long trips into the outdoors, often a week or more of hiking or camping. However, such backpacks can be too large for those who only wish to spend a weekend in the country instead of a week. This is where the smaller version of the backpack comes into play. What is a Small Tactical Backpack? This is a tactical backpack that has the same basic design as the standard version, but is smaller and designed more for quick getaways rather than extended hiking or camping trips. 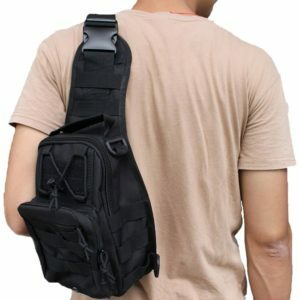 The small tactical backpack is made from the same high-quality materials, but often has fewer individual compartments and does have less space to carry gear as opposed to the larger versions. Eager to know the best ones? However, it is for all intents and purposes a tactical backpack as it meets the requirements with the only difference being its size and overall interior space for carrying items. There are some benefits to the small military backpack that can come in quite handy when on a short trip. Lightweight: Because the backpack is smaller, it also carries less which means that you are putting less strain on your back. Of course, you are carrying less gear as well, so you will have to pack smart when going on an adventure. Durable: This type of backpack is crafted from the same, durable materials as the standard versions so they will hold up for just as long. In fact, with fewer pockets and compartments, it should last even longer under similar conditions simply because there is less to wear out. Perfect for Certain People: For children, small adults, and those who may have injuries or medical issues that prevent them from carrying a larger pack, purchasing a small tactical version may be the answer. Of course, it is what you put into the pack that provides most of the weight, but the smaller size is also easier to carry and handle while hiking or camping. How to Pack a Compact Tactical Backpack? To properly pack a mini backpack is the same as wrapping the standard version as the same principles apply. Set Out Your Items: You will need to start by setting out the items being taken on the trip and sorting them according to their association. This means toiletries, clothes, and gear all go with each other, so socks go with other socks and camping gear goes with camping gear. Once you have set out all the items needed, you can put them into plastic or Ziploc bags for waterproofing. Set the Bag Down: You’ll want to pack the backpack horizontally so that all the items are balanced when you put on the pack. This will help your back considerably as the weight will be evenly distributed. Heavier Weights on the Bottom: Always put the most substantial weight on the bottom and work your way up to the top with the lighter weight materials. This will also put less strain on your back which works even for short trips. The smaller version of the tactical backpack is perfect for weekend trips when you do not need a larger backpack to carry your items.